Kalamazoo, MI: Public Safety Officers were notified of a criminal sexual conduct compliant involving a local licensed psychologist. The investigation was turned over to the Criminal Investigation Division, where multiple victims were identified. The investigation has been ongoing for the past several months. Another victim recently came forward and there still may be more victims as Dr. Thayer has been in practice for over 25 years and has seen multiple clients. 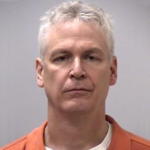 Dr. David Lee Thayer was arraigned yesterday on multiple charges of CSC 4 and released on a personal recognizance bond. Detectives are asking the public for help in identifying more victims and having them come forward. Police are asking any victims who had sexual contact with Dr. Thayer while they were his patient, or within 2 years of discontinuing therapy with him, to contact them at 269-337-8139. The statute covers forceful unwanted sexual assault as well as “consensual” sexual relationships between a doctor and patient. Defendant was a mental health professional, and the sexual contact occurred while the victim was the defendants client or patient, or occurred within two years after the period in which the victim was the defendants client or patient. The consent of the victim is not a defense and a prosecution under this subsection shall not be used as evidence that the victim is mentally incompetent.